It's time for a new kind of education. Futurism only supports products that we trust and use. This post is in partnership with Abundance 360, and Futurism may get a small percentage of sales. Want to take a class with Peter Diamandis? Click here to learn more! Learning needs to be less like memorization, and more like… Angry Birds. Half of school dropouts name boredom as the number one reason why they left. How do we get our kids to want to learn? In the traditional education system, you start at an “A.” And every time you get something wrong, your score gets lower and lower. In the gaming world, it’s just the opposite. You start with zero, and every time you come up with something right, your score gets higher and higher. It completely flips the way we currently learn, and it’s addictively fun. How addicting? Over 155 million Americans play video games, and spend upwards of 3 billion hours per week engrossed in a game. It’s the Scientific Method. We need to make kids as addicted to learning as they are to gaming. One strategy is to literally “gamify” learning itself. In 2008, they created a game called FoldIt, in which a user gets a digital representation of protein and then begins to manipulate and fold the protein on the screen. The lower the stress and strain on that protein molecule, the better their score. Over 240,000 registered users signed up to play. Brilliantly, it turned out that humans were much better at folding proteins than algorithms — and it turned out that the best protein-folder was a woman who, during the day, was an executive secretary at a rehab clinic and, at night, became the best protein folder on the planet. Gaming outperforms textbooks in every area. Pilots and surgeons trained on video games and simulations outperform those who are not. Customized gaming teaches creativity and innovation. Hours spent playing video games is associated with increased executive function in children. And so on. So where is this all going? Right now, online platforms like Khan Academy and Coursera have made a plethora of educational resources available for free and on demand, so that you can pick and choose what you learn and at what speed you learn it. Khan Academy has delivered over 300 million lessons since it started in 2006, features 5,000 free instructional videos in 65 languages, and allows users to complete 4 million exercises every day – simply amazing. In 2011, Stanford professor Andrew Ng decided to put his machine learning course online for free, thinking that maybe a few additional people would tune in with his students. Within days, 100,000 people had signed up to take the course. We are already seeing technology democratize access to education – but soon the education itself will become even more powerful with the help of AI and virtual and augmented reality. In the near future, artificial intelligence will be able to personalize learning platforms to each individual student. The AI will have unlimited access to information and will deliver it at the optimal speed to each student in an engaging, fun way. This AI will be freely available to everyone (just like Google), and the quality of the education will be higher than that which only the wealthiest people on the planet can afford today. Then, add this to high-resolution, photorealistic virtual reality experiences and your kids will be voraciously consuming knowledge. For example, rather than read about Julius Caesar in a history textbook, kids will put on their VR headset, and an AI-driven avatar of Julius Caesar himself will tell them stories as they walk around a virtual rendering of the Roman Coliseum. 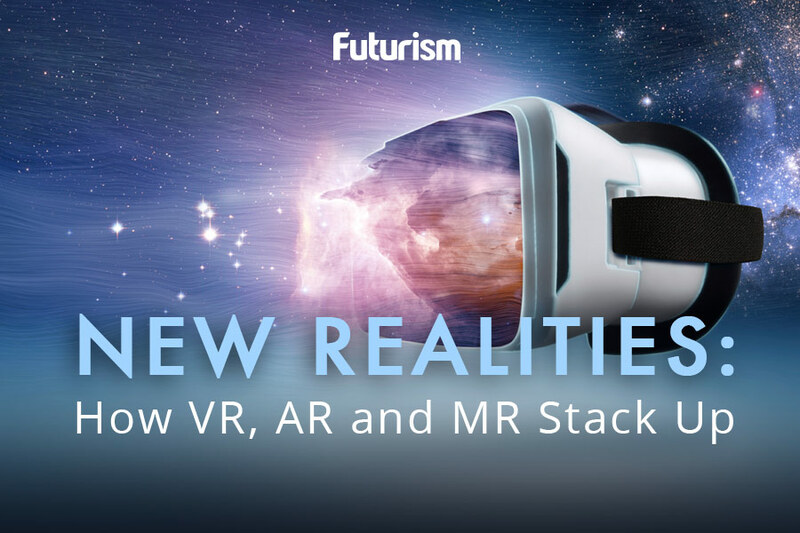 Rather than try to learn about relativity in a physics textbook, students will be able to “ride” in a virtual spaceship alongside Albert Einstein explaining his thought experiments directly to them. We are headed toward a future in which education is much better, more robust, and widely available than we can possibly even imagine. A future in which the poorest child on Earth and the wealthiest child are both getting access to identical opportunities, orders of magnitude beyond what we have today. This is the sort of conversation we explore in my online community called Abundance 360 Digital (A360D). A360D is my ‘onramp’ for exponential entrepreneurs who want to go big, create wealth and impact the world. Click Here to Learn More.